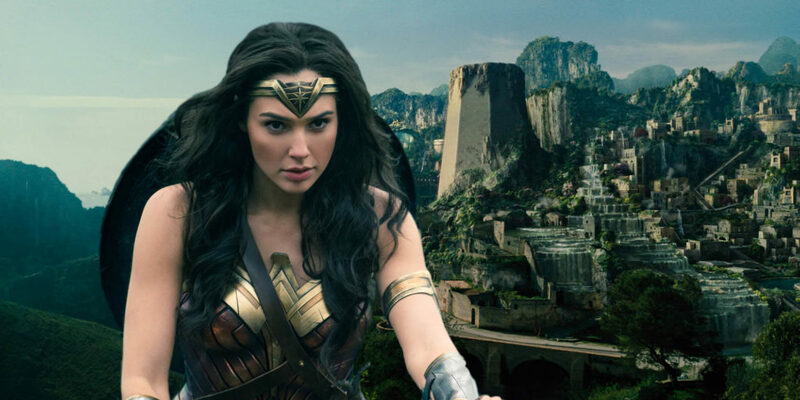 I just saw the movie Wonder Woman, and I really enjoyed it.The lead actress, like many women I know, is beautiful and has extraordinary powers. It’s great to a see a powerful, superhero woman. 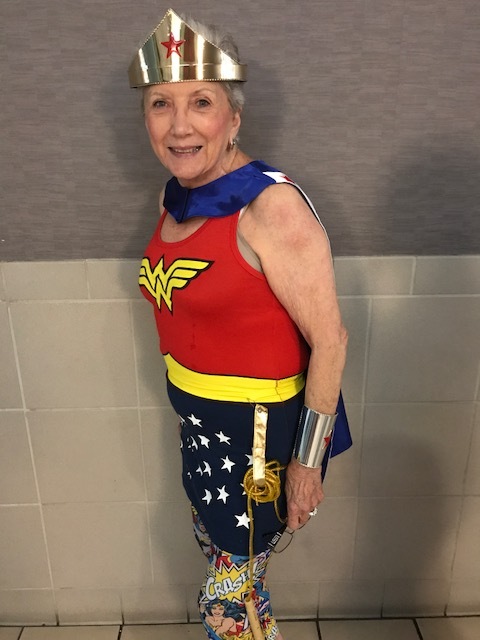 Sitting next to me was an equally beautiful woman, dressed in a Wonder Woman outfit. Her name was Margaret Marston Lampe (below), and her father-in-law, William Marston created Wonder Woman. Her outfit is genuine. She received it from Warner Brothers via her family. 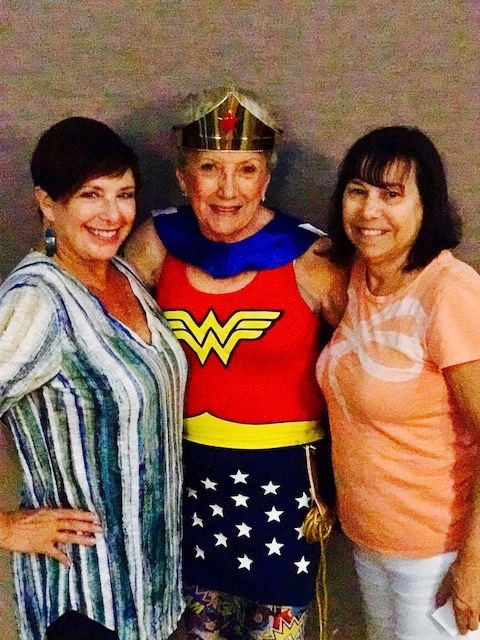 Here I am with my friend, Jill Rosenstein (left) and Margaret. For a bona fide review of the movie, I suggest visiting my favorite movie reviewer Mara Reinstein.